Are you having legal issues, and don’t know where to start your search for an Arizona litigation lawyer that will offer you the best legal advice possible, at an affordable cost? Let Gunderson Denton & Peterson assist you in all of your legal needs. We offer our experienced professional assistance and representation in almost any Arizona litigation, including, but of course not limited to areas such as commercial law, business law, franchise law, immigration law, will and trust litigation, collections, and many more. Gunderson Denton & Peterson can help you with your Arizona lawsuit by offering our legal counseling and advice, presenting you with the best solutions and most affordable options for your specific case. We analyze your issues to see if negotiation, mediation or arbitration is possible initially, as many issues can be resolved without litigation, saving time and money. Should litigation become necessary, we are prepared to represent you, either as a plaintiff filing a lawsuit against an individual or business, or as a defendant. 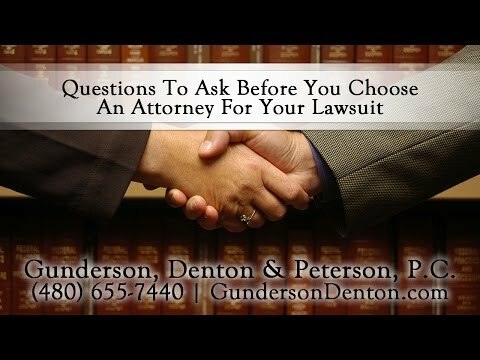 If you are looking for a dependable Arizona litigation lawyer, the office of Gunderson Denton & Peterson can help you to start preparing your litigation plan. At Gunderson Denton & Peterson we can offer you our many years of experience as Arizona litigation lawyers, and provide you with a customized legal strategy for your Arizona lawsuit. We will help you draw up clear and concise legal documents, answer summons, respond to disputes and claims, represent or defend you in court, and offer our professional advice and counsel regarding the specific issues of your case. Our team of lawyers will carefully analyze your case to offer solutions that best fit your goal and situation. It can be a complex and exasperating task to go through a lawsuit, but you won’t go through it alone with Gunderson Denton & Peterson. Our skilled staff of experienced Arizona litigation lawyers will guide you along the way, making the experience much less stressful while working to obtain the best outcome for you. 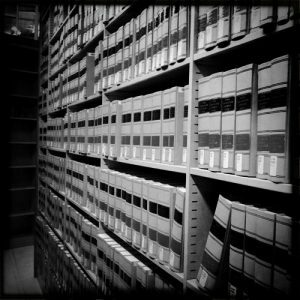 Want more information on how we can assist you with all of your legal needs, or concerns? Give us a call today at (480) 655-7440 for a phone consultation regarding your Arizona litigation. Q: Does an attorney have to file a Notice of Appearance to file a pleading on behalf of a party? There are 5 Defendants in a personal injury lawsuit, and an attorney sends Plaintiff a formal introduction letter explicitly stating that he is only representing 1 of the 5 named Defendants. The attorney then subsequently files an Answer and Counterclaim on behalf of the 1 Defendant, but also concurrently files a Motion to Dismiss for the other 4 Defendants (whom he never claimed to be representing in his introduction letter). Would the attorney not have to had have first filed a Notice of Appearance for the other 4 Defendants before filing a Motion on their behalf since he first disassociated himself as their attorney of record based on his formal introduction letter to Plaintiff? If not, in what instances would a Notice of Appearance need to be filed? A: Usually filing a motion to dismiss on behalf of a party would be an initial pleading that would constitute an appearance on behalf of the defendants for whom the motion was filed. But it will depend somewhat on the wording in the motion. If the attorney has been retained by all the defendants to represent them, then the answer is no–the lawyer does not need to file a notice of appearance in addition to filing a motion to dismiss. * This answer does not constitute legal advice. I am admitted in the State of Arizona only. This advice is based on general principles of law that may or may not relate to your specific situation. Facts and laws change and these possible changes will affect the advice provided here. You should not rely on this advice alone, and nothing in these communications creates an attorney-client relationship. Re-posted from AVVO Legal Questions & Answers.